The Adnan Kassar School of Business offers its graduate students the opportunity to directly learn from top executives in the automotive industry. 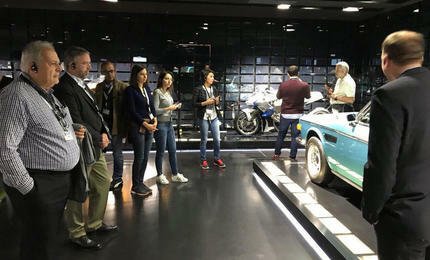 The group toured the BMW museum. Former General Director of Product Planning and Innovation at Adam Opel Ralph Kraeuter (center) poses with the students and el Hout (second from left) at the end of his presentation. After a rich interactive session, the students freeze the moment with a selfie with former Director of Project Accelerate at GM Europe Jeffrey Glover. The conversation with former CEO of Tata Motors Herr Carl-Peter Forster continues over dinner. Former CEO of Opel Hans Demant, also known as “Mr. Opel”, shares his experience with the participants. 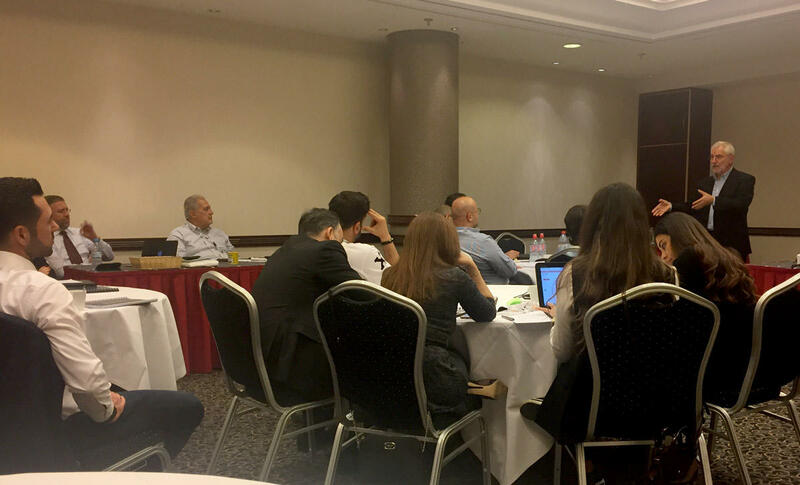 LAU’s Adnan Kassar School of Business (AKSOB) embarked 22 students in its EMBA program on a trip to Munich, Germany, for a week-long activity on business modeling. 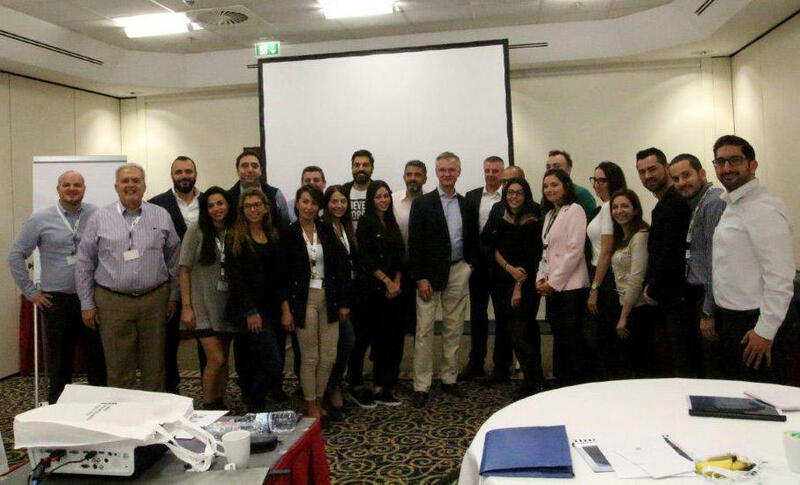 Taught by Jamal el Hout, former vice president of General Motors (GM) operations in Europe, the course is further testament to AKSOB’s innovative approach in teaching and learning. “LAU hired me as a ‘practitioner professor,’” said el Hout, as part of the school’s general effort to bring practical experience to the classroom. With 35 years of experience at GM, el Hout believes the academic and practical teaching offered by AKSOB is “a powerful combination, allowing students to see both sides” of issues they will face throughout their careers. The objective of the course was to help students think about their respective business models, how to present it and explain it, and make sure of its viability and profitability. Underpinning the course’s pedagogical effectiveness was the belief that “they have to actually see a business model live, because it will stick in their minds,” added el Hout. El Hout prepped the students for the course by providing them with reading material ahead of time. Once in Munich, the budding businessmen went on a private tour of BMW’s enormous plant and were able to witness first hand the practical application of what they had read. 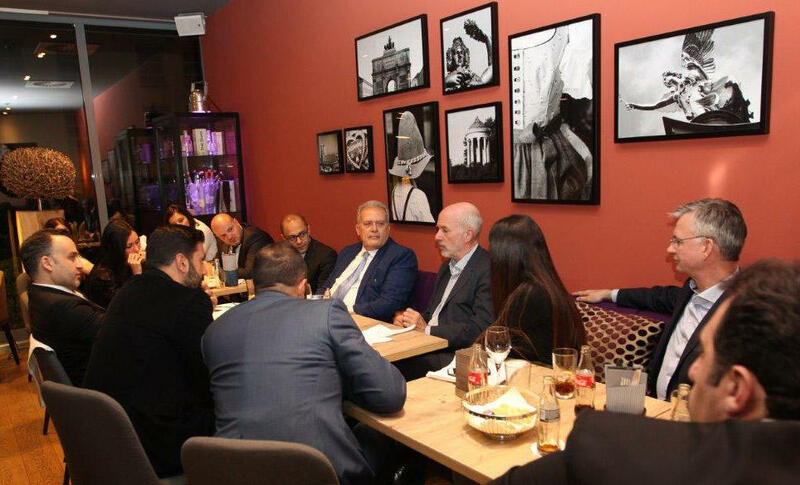 They were also offered the unique opportunity to meet with renowned professors and prominent experts in the fields. Former CEO of Tata Motors Carl-Peter Forster, former CEO of Opel Hans Demant, former Director of Project Accelerate at GM Europe Jeffrey Glover, former General Director of Product Planning and Innovation at Adam Opel Ralph Kraeuter, and Vice President of Marketing Sales and Service at Borgward Group Tom Anliker were some of the top auto executives that the students had the opportunity to learn from live. The presentations covered an array of topics such as forecasting on a large scale, operations management, leadership, negotiation, conducting business globally, among others. 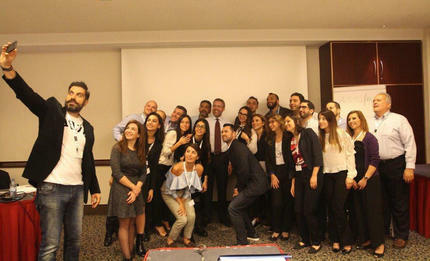 But it was focus on the future of business in the context of the technological revolution that most impressed EMBA student Charbel Rizkallah, currently a sales and projects regional manager at Honeywell. “It changed my perspective on how the future will look and what I should do [in my business] to adapt to these rapid changes,” he said. AKSOB is planning similar courses in the future, both abroad and in Lebanon, bringing together guest lecturer executives from various industries.